While the Ottawa Dragon Boat Festival is still a few months away, the Ice Dragon Boat Festival is set to bring a series of free shows to the nation's capital alongside team racing action next month. 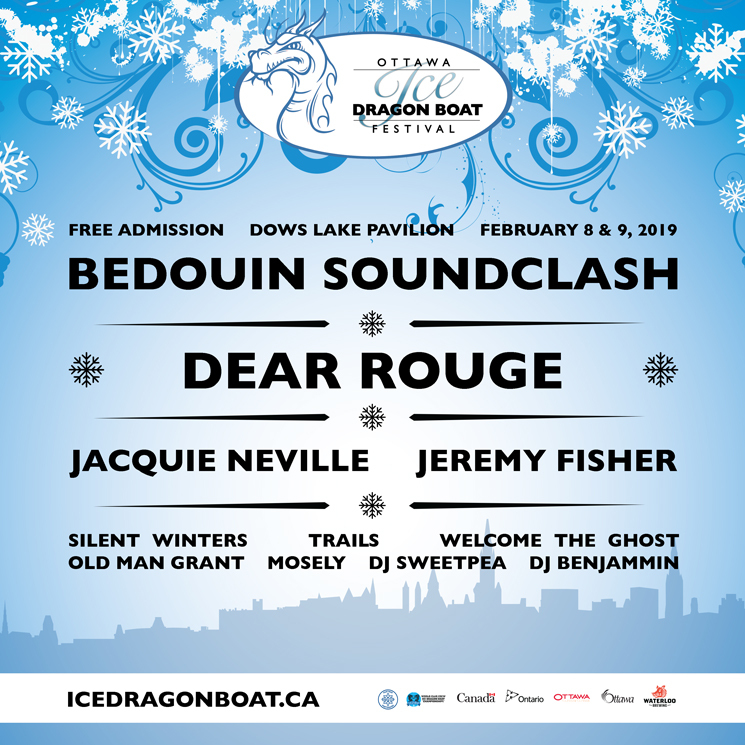 Taking place February 8 and 9 on the city's Rideau Canal skateway, the free fest will be headlined by Bedouin Soundclash and Dear Rouge, followed closely by Jacquie Neville and Jeremy Fisher. Additional acts set to take part include Silent Winters, Trails, Welcome the Ghost, Old Man Grant, Mosely, DJ Sweetpea and DJ Benjammin. You can find a full concert schedule here and a preview video below. Last year's summer Dragon Boat Festival saw Sam Roberts Band, Broken Social Scene, Wintersleep, Matt Mays and more play in Ottawa. The Balconies' Jacquie Neville Makes Solo Debut with "Lead the Way"